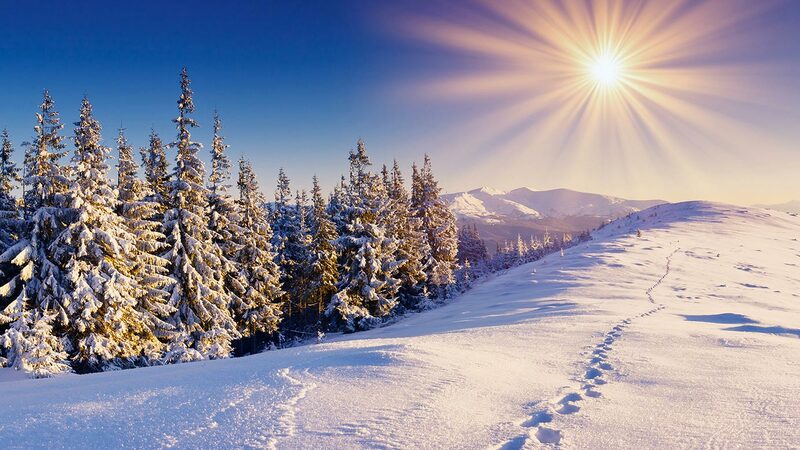 • Simply remove the paper backing and place the adhesive side of the HotShots Toe Warmer on the outside of the sock, at the bottom of the toe area. • Air Activated Instant Heat that lasts up to 6 hours. • Average temperature 39°C when used as directed. 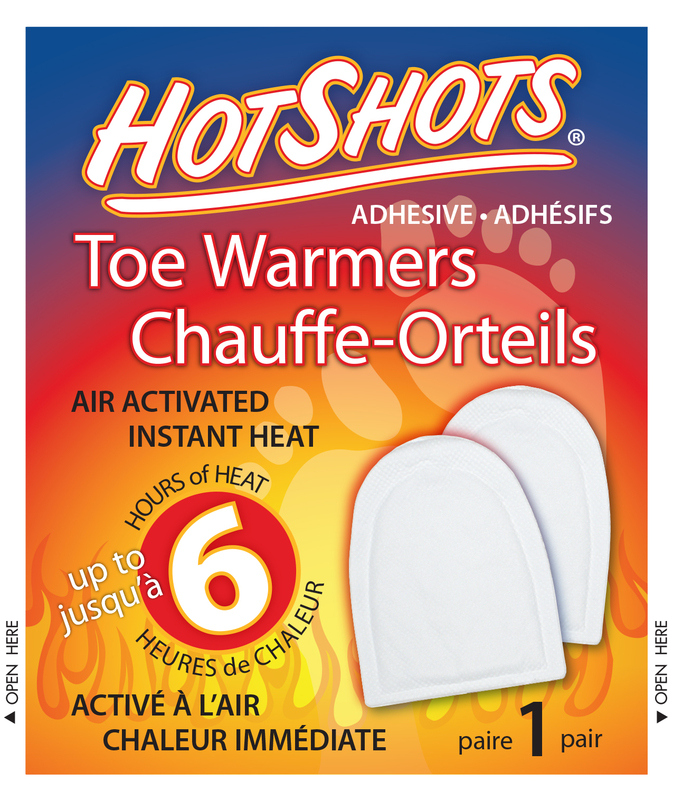 • HotShots Toe Warmers are a safe, odorless, clean & dry non-toxic heat source. 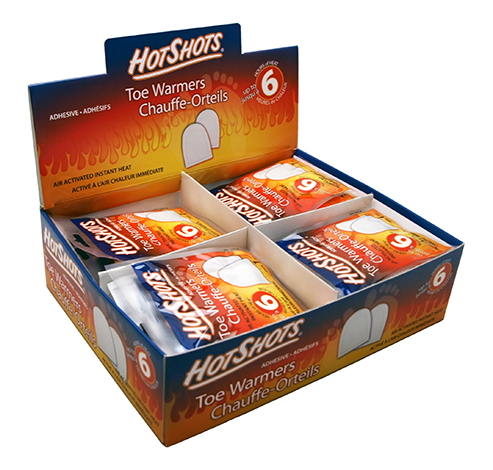 • One pair of HotShots Toe Warmers in each package.